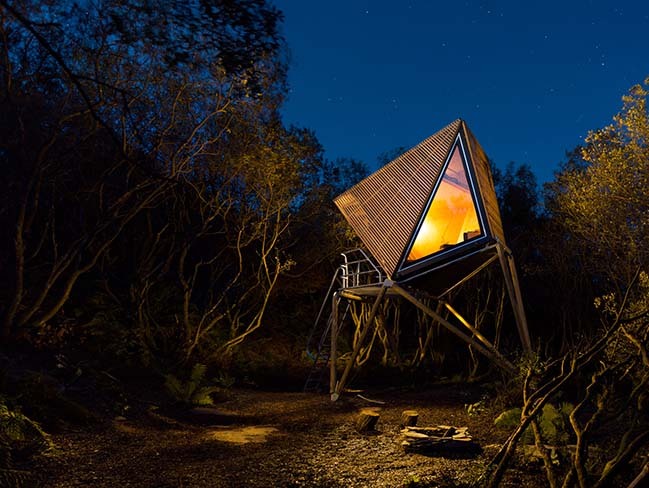 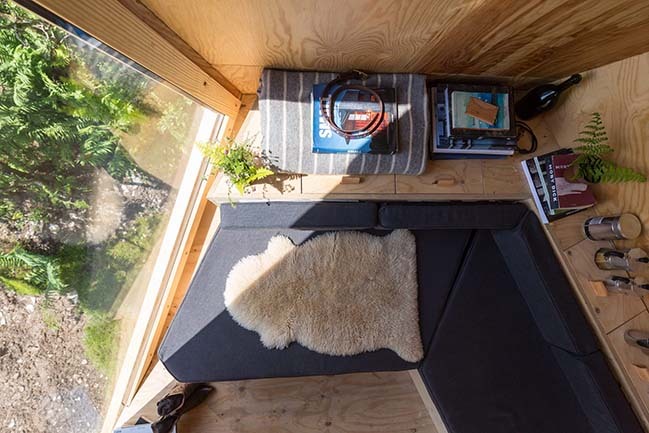 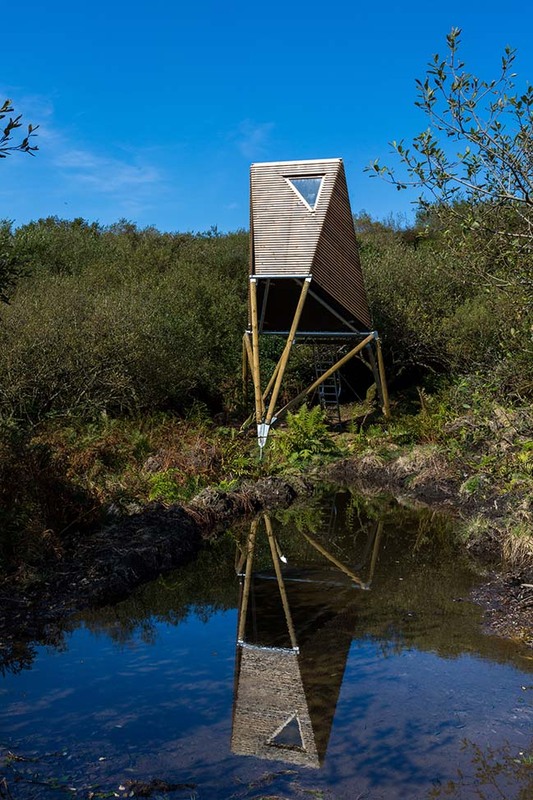 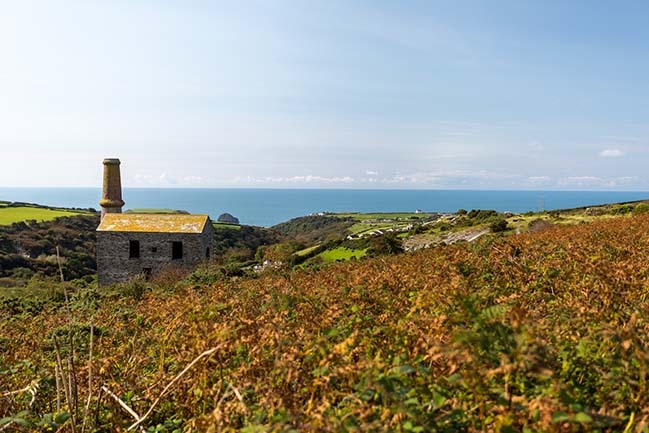 New British Design’s latest installation is the occupation of four unique wilderness cabins - or ‘Kudhva’ - in a disused slate quarry on Britain’s North Cornwall coast. 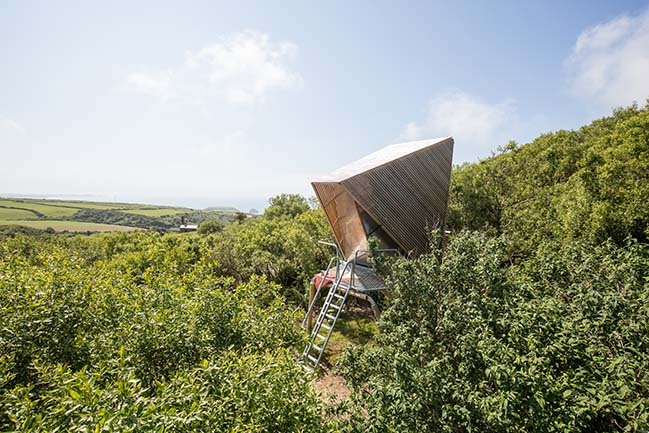 From the architect: The cabins, design by Ben Huggins are intended to be the ﬁrst phase of a wider masterplan for the site oﬀering the public the chance to experience temporary small scale experimental architecture. 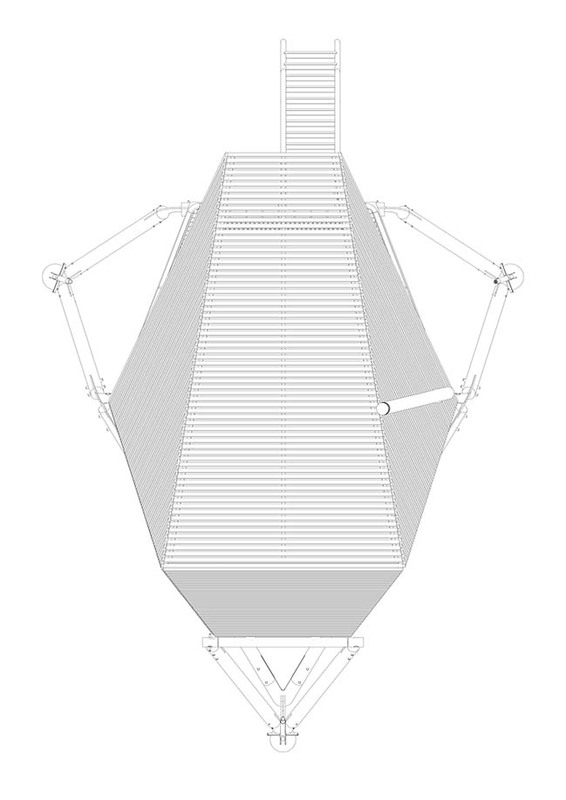 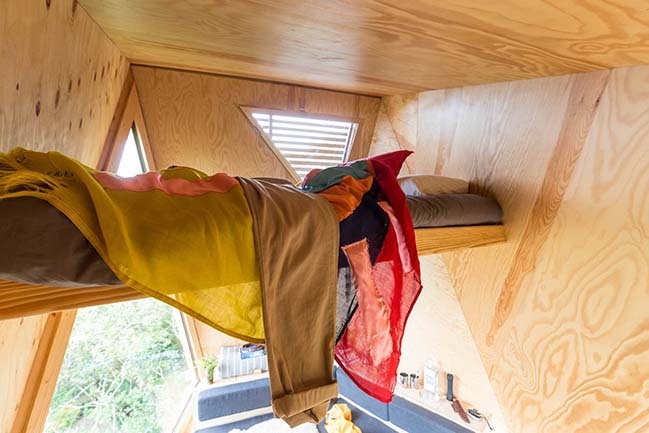 Huggins’ worked with client and long term collaborator Louise Middleton on the project brief before developing the ﬁrst four prototype cabins. 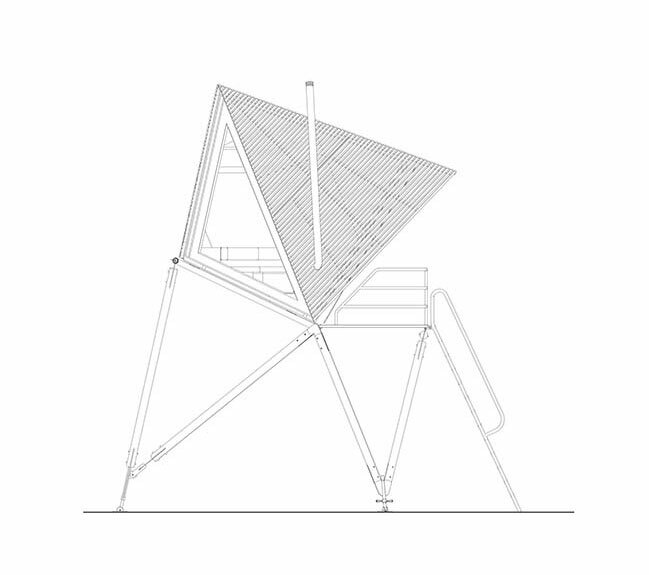 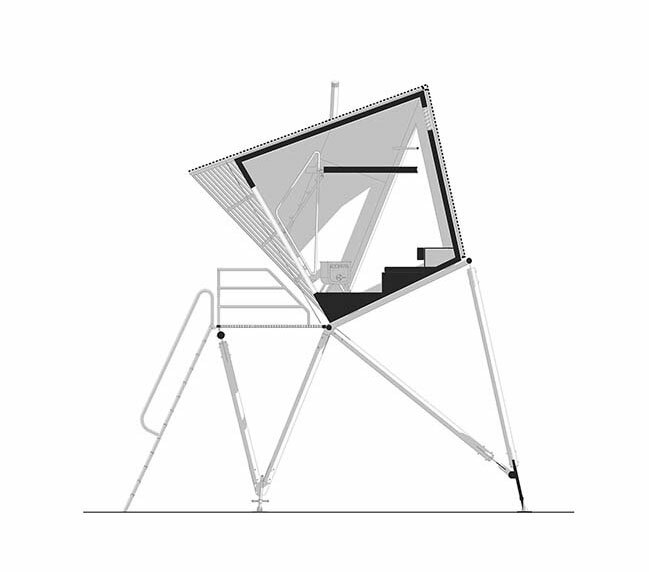 ‘The design had to be a movable structure that was capable of being manufactured off-site and then transported to its intended location as a complete unit. 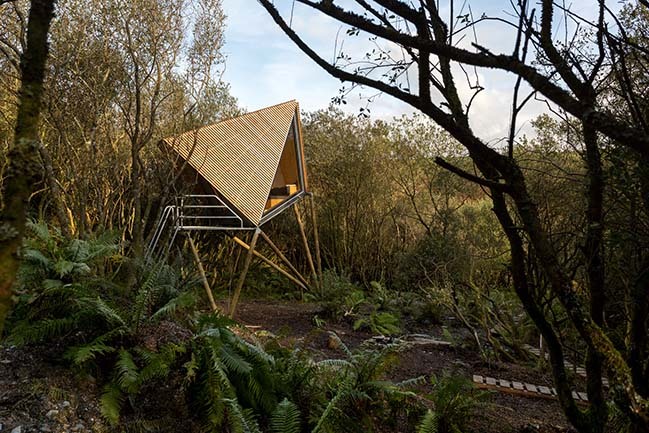 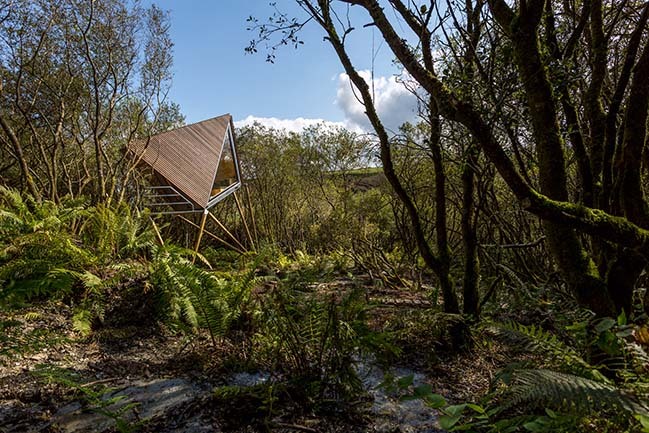 This pre-fabricated temporary structure offered a ﬂexibility in its approach with off-site manufacture in the controlled conditions of a workshop ensuring a higher quality product compared to that built out in the open.’ The word ‘Kudhva’ come from the Cornish for ‘hideout’ and was the touchstone for developing the brief for these secluded retreats. 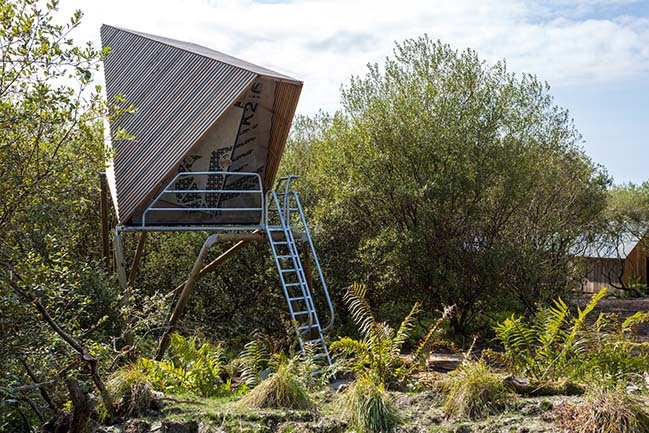 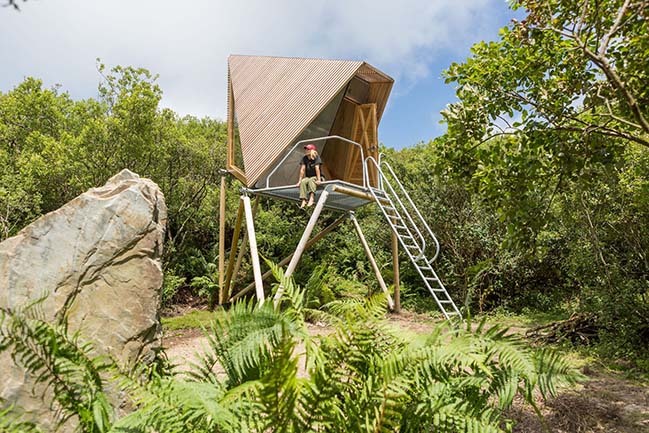 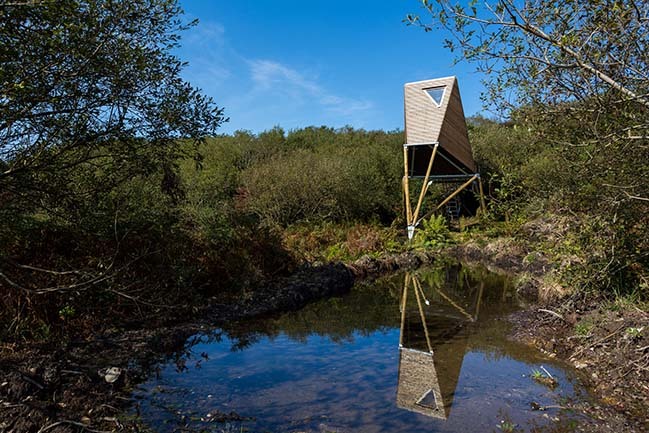 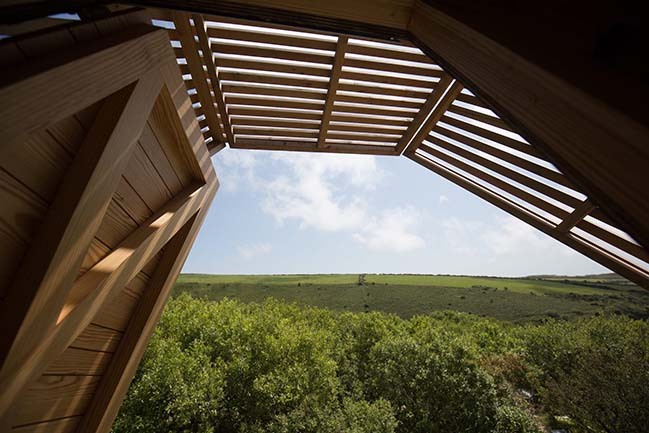 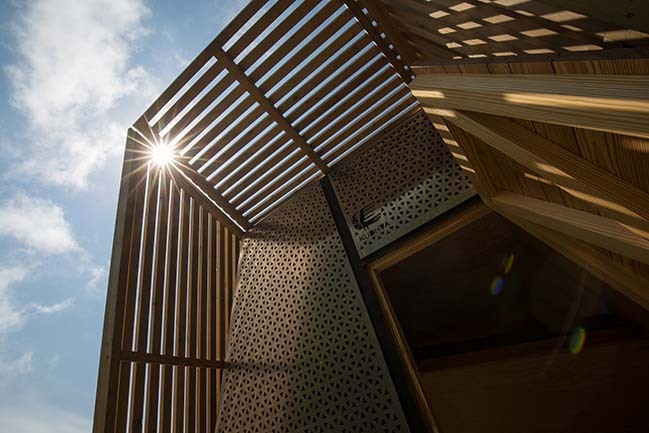 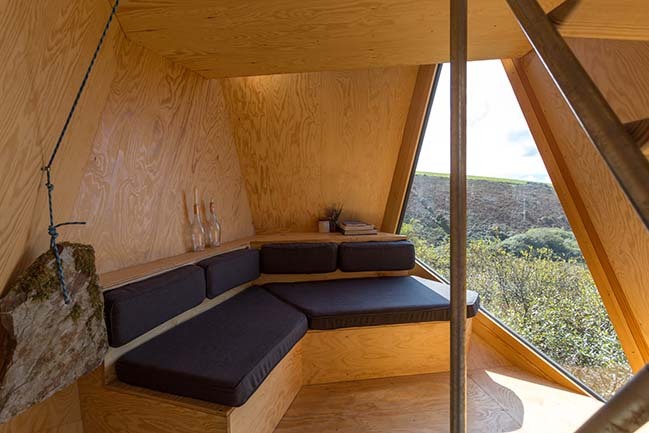 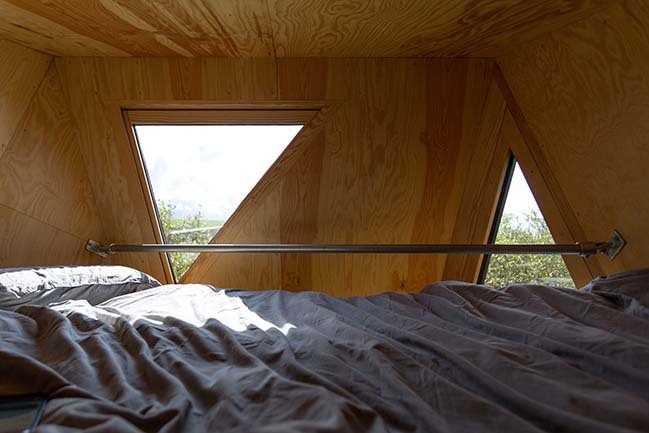 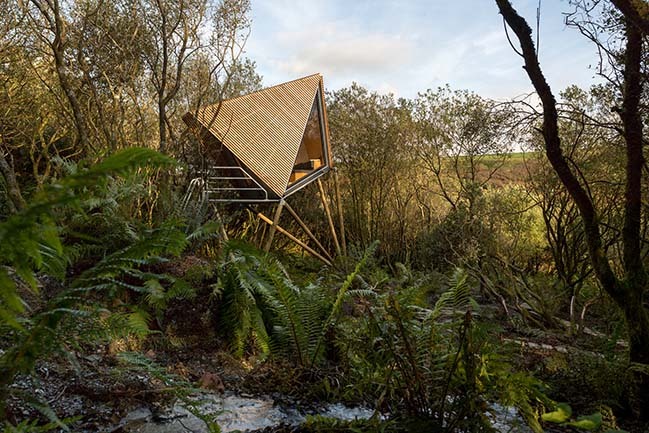 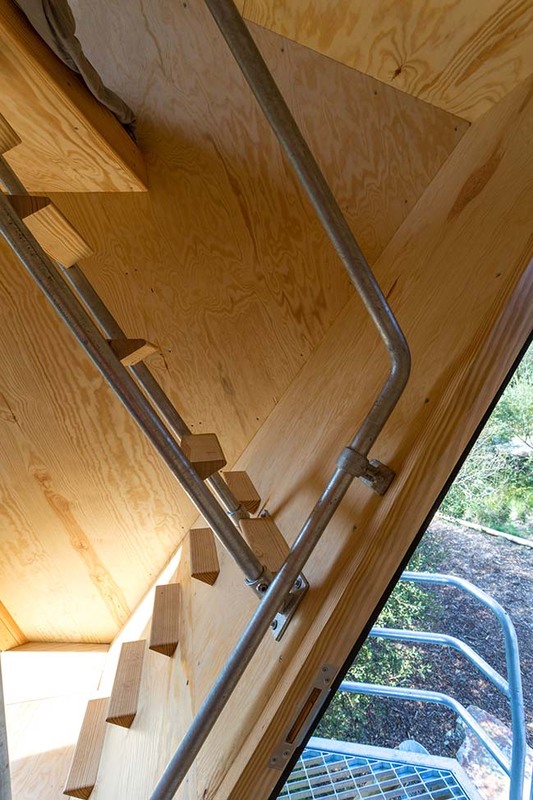 The cabins are intended to oﬀer a unique perspective on the Cornish landscape from their elevated position amongst the trees. 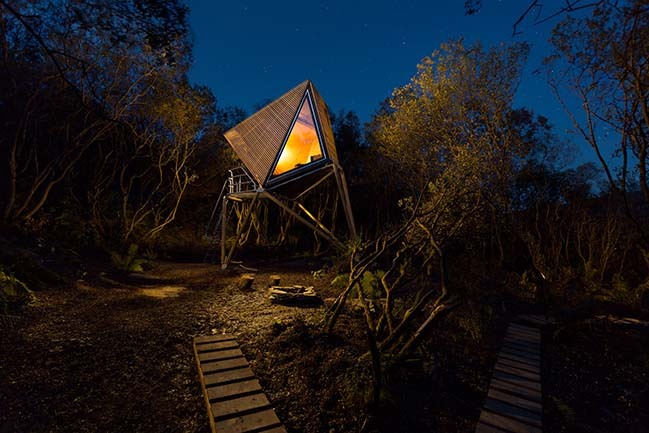 Built by boat builder turned furniture maker Toby Sharp with a small team of master craftsmen in a nearby workshop, the cabins were then assembled and transported to site before being craned onto their cradle bases. 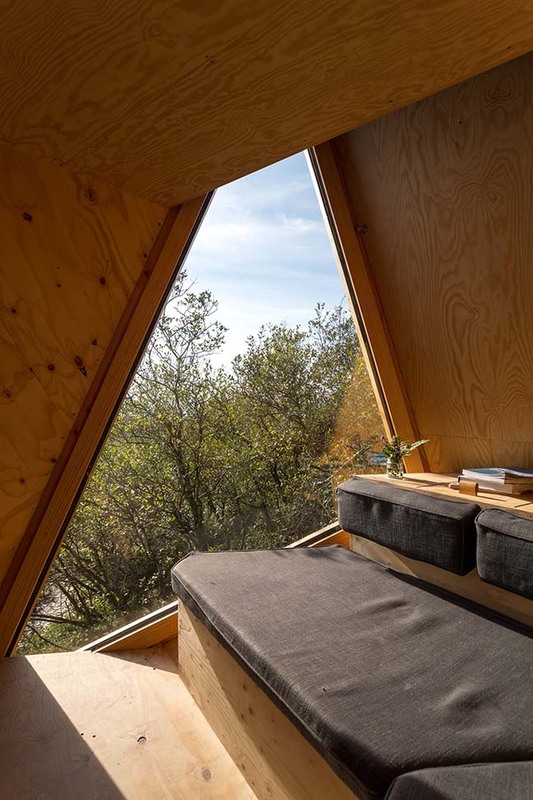 The cabins are constructed from structural, insulated paged-pine panels with an EDPM rubber membrane covering. 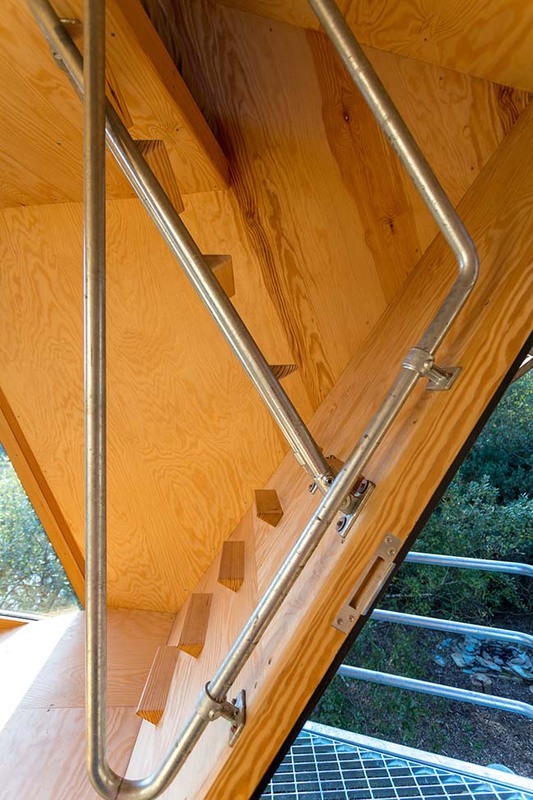 A larch slatted skin covers the cabin that is elevated above the ground on turned pine poles. 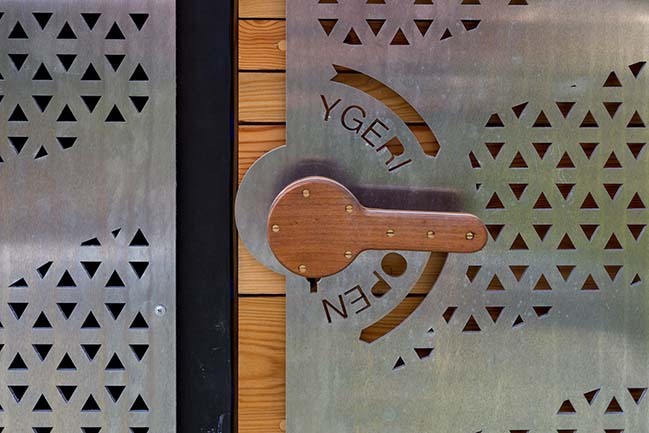 Galvanised steel is used for all railings, ladders, frame jointing and ground connections, providing both ease of assembly and extended life-span of all timber elements. 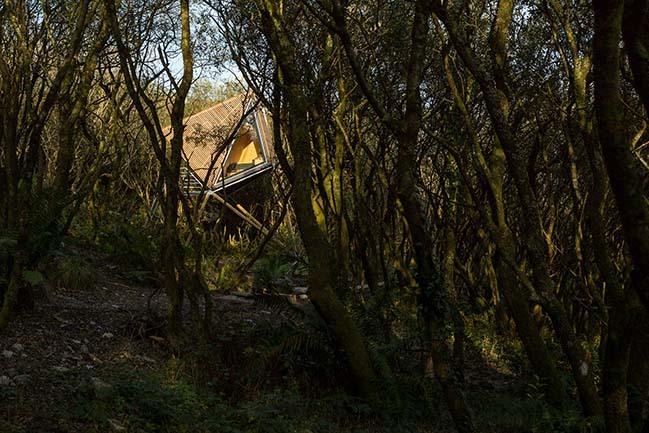 The project is now open to the public with the cabins available to rent. 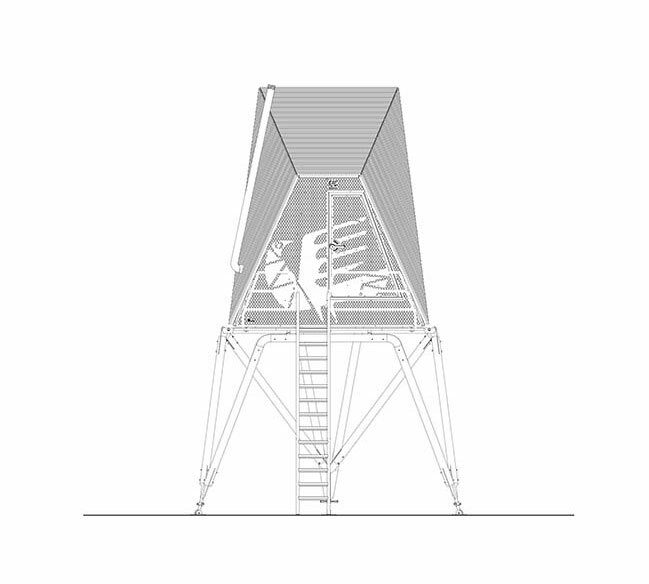 The site also hosts a temporary scaﬀolding reception building oﬀering a canteen as well as toilets and showers. 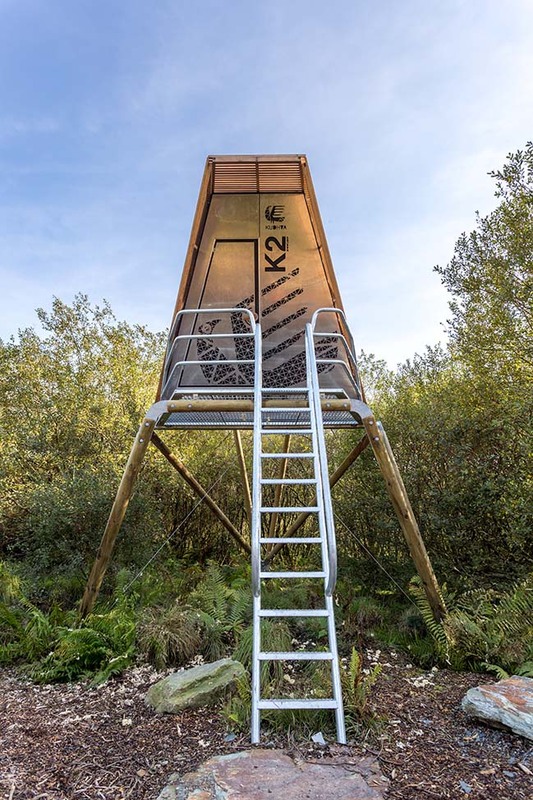 Further projects are planed for next spring and talks have already begun with other similarly interested agencies with regard to future collaborations exploring new shelter typologies and other architectural interventions for the quarry site. 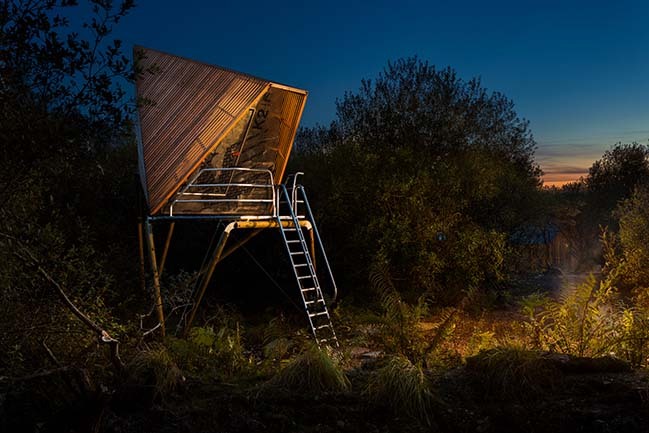 Quote: Ben Huggins "For as long as I can remember, the fascination with an elevated aspect has drawn me to certain objects from diving boards to the cliﬀs edge. 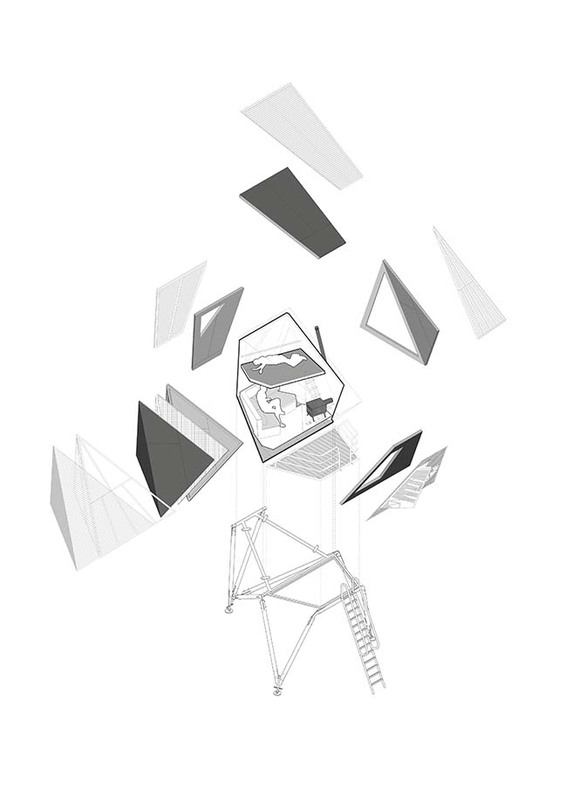 The familiar unfamiliar of seeing an everyday scene or object from a strange position is the genesis of making it interesting again. 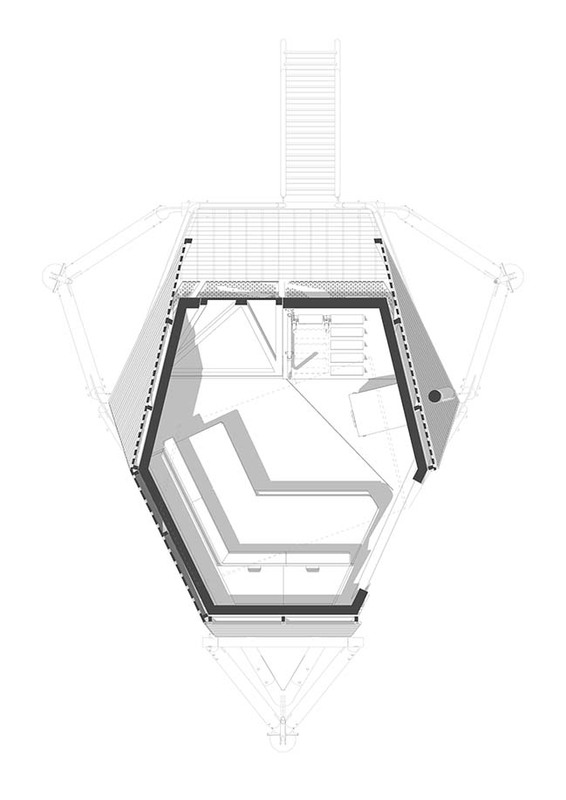 Marrying the implied prominence of an elevated structure however, with its intended concealment meant that the positioning of these structures would be largely determined by the topography of the site. 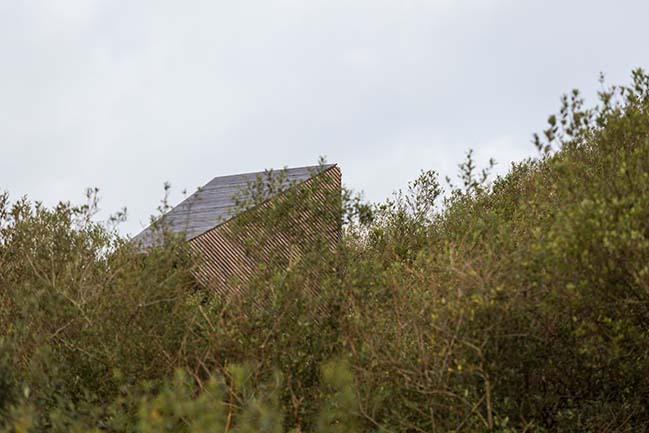 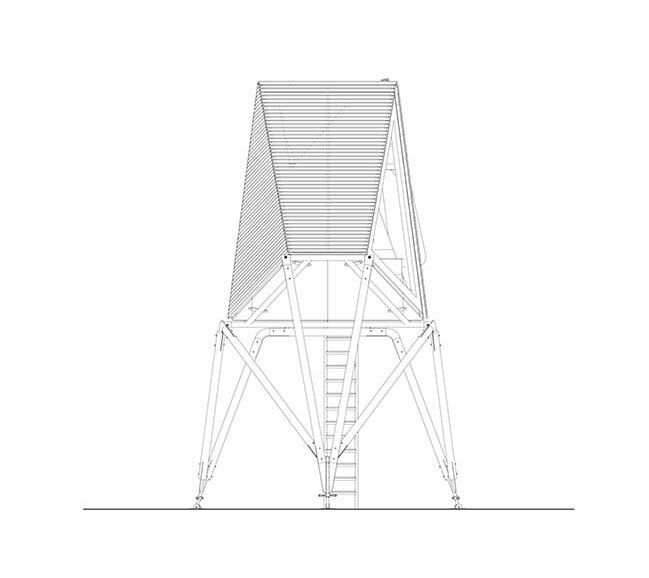 The shelter should provide a far reaching aspect without protruding on the skyline when seen looking back at the site. 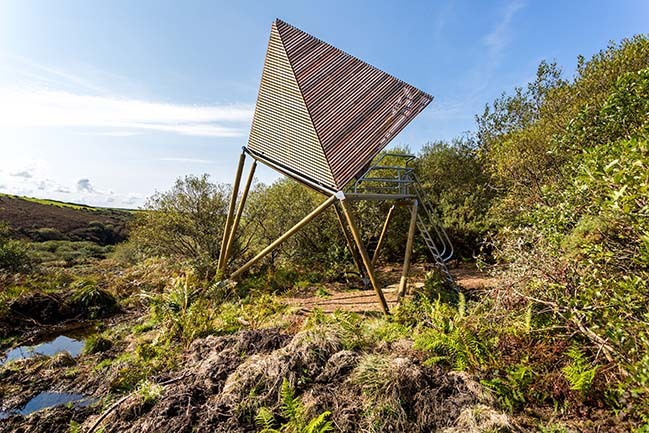 By doing this it was possible to render the structures virtually invisible from anywhere beyond the boundaries of the quarry. 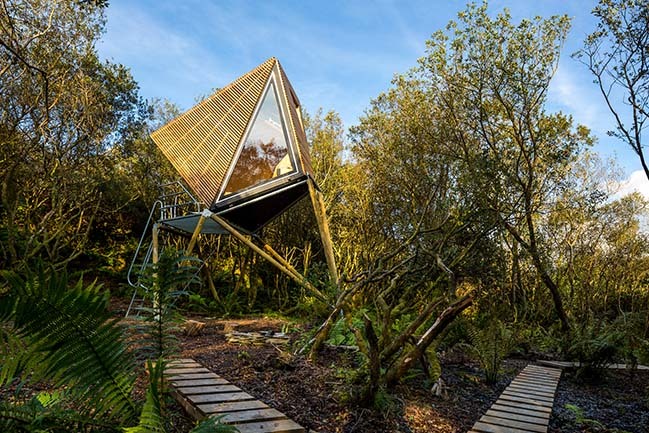 Much of the spring of 2016 was taken up traversing the site with a tall stepladder in an eﬀort to ﬁnd a view through and above the trees and dense ground cover."